I don’t know about you but I am pretty irritated that the holiday season has become one big marketing and buying frenzy. So, instead of giving gifts I am suggesting that pet lovers consider moving their dollars over to things that can make the difference in the lives of pets and those pet owners facing challenges. I first heard of the Meals On Wheels Association of America’s (MOWAA) program to help pets called WALOP (We All Love Our Pets) in 2006. There have been local programs (such as Ani-meals) to help feed pets since the mid-1980s (and perhaps earlier). Some locations work with homeless shelters while others place bins in businesses throughout the area to collect food donations for those in need. However, the WALOP national program integrates with the Meals on Wheels network to help those in need to also get food to their pets. 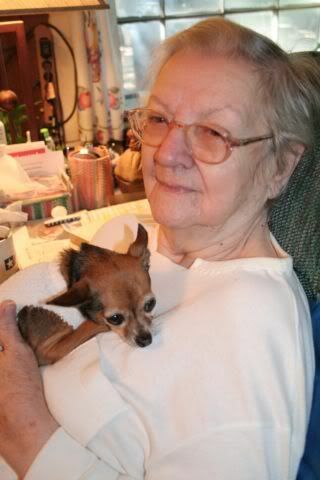 The effort was started after the Meals on Wheels group realized that the pets of many MOWAA recipients also needed food. So I’d urge you to support The Season of Suppers campaign which is now in its third year. Season of Suppers focuses on the part pets play in the well-being of home bound seniors and helps to keep those companion animals fed, healthy and part of the family for as long as possible. Season of Suppers is a partnership between Banfield Pet Hospitals, the Banfield Charitable Trust (BCT), and the Meals On Wheels Association of America (MOWAA). In 2007 Banfield’s Season of Suppers campaign raised more than $51,000 to help 50 senior meal programs start or augment pet feeding programs across the country. If you are part of a food network to feed those in need, the 2008 WALOP Grant Application deadline has passed but you can get still download the form and address online or visit their donation guideline page for more information and current forms. If you would like to particpate in my 2008 Season of Giving please donate to WALOP online click here and select the donation field for WALOP.